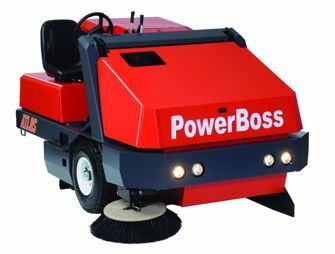 The PowerBoss 64" Atlas Riding Sweeper is heavy duty to handle the roughest terrain. With impressive ground clearance, the 64” Ridng Sweeper features 23” diameter tires allowing you to sweep over speed bumps, sidewalks, and medians without any damage to the machine. A tough ¼” thick steel condensed frame contributes to a longer more dependable lifespan. Its four stage filtration system allows for 99% efficiency to 3 microns in dust control and is easy to change with no tools necessary.